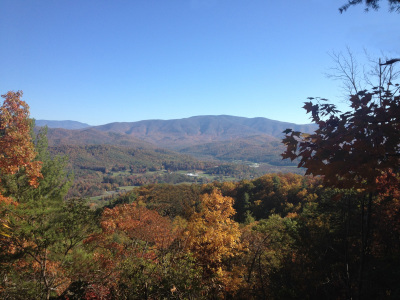 The Town of Unicoi's Parks and Recreation is committed to enhancing the well-being of our community by providing recreation opportunities, preserving natural habitats, and allowing our residents and visitors to enjoy the natural beauty around Unicoi. Unicoi is surrounded by the Cherokee National Forest, approximately 51% of Unicoi County is Cherokee National Forest. Unicoi and the surrounding county has many natural trails, waterfalls, and other natural beauties for citizens and visitors to enjoy. The Parks and Recreation Department coordinates Public Relations for the Town of Unicoi by providing information to the public about government activities, services, and events in variety of formats: Tourist Information Center board and kiosk, Website, Facebook, newsletter, presentations, publications, news releases, advertisements, etc. The Parks and Recreation Department coordinates all media request, distribution of communications, and assists in organizing town events. Please check out our Events page for an Events Calendar and information on current and upcoming events. A favorite among many residents and visitors is our Pinnacle Trail. The trail head is located right off of I-26 at exit 32. 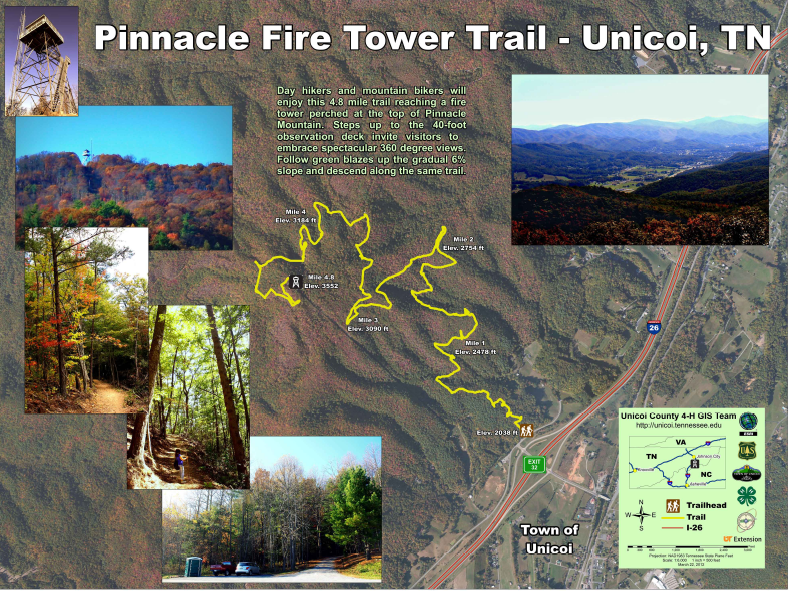 The Town of Unicoi has worked closely with the U.S. Forest Service to create a walking/biking trail up to the renovated Fire Tower. The 4.8 mile hike up Buffalo Mountain provides for beautiful scenery and nature as you make your way to the top of the mountain. Once there, you can climb to the top of the old Fire Tower to see a breathtaking view of Unicoi and the surrounding area. Click Here to read more about Jack Snider Park and the Pinnacle Trail. 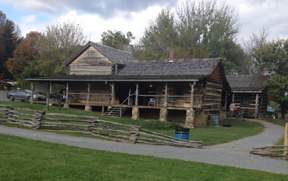 The restored Bogart-Bowman log cabin and park is the site of educational opportunities for local children and the public. These activities include local and state history, early frontier inspired socials and cultural practices, as well as outdoor study of native plants. Learn more about the Bogart-Bowman Cabin here. 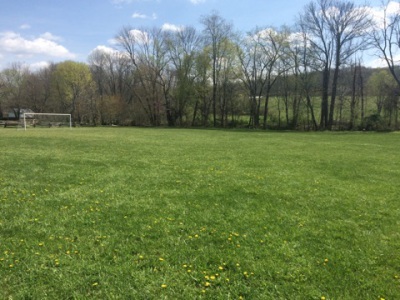 In addition to the Cabin, there is a large field with soccer goals, a walking track, and benches. It is a great place to get out and get active. Play soccer, volleyball, badminton, or simply enjoy nature.